Pick-up in your hotel and transfer to Uaxactún Archaeological Site. Uaxactun (pronounced [waʃakˈtun]) is an ancient sacred place of the Mayan civilization, located in the Petén Basin region of the Maya lowlands, in the present-day department of Petén, Guatemala. 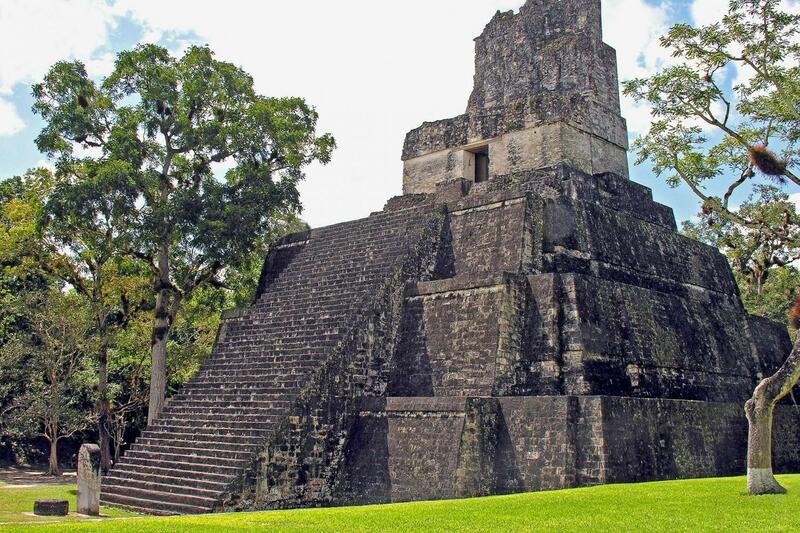 The site lies some 12 miles (19 km) north of the major center of Tikal. Visit a number of ceremonial buildings, including Temple of the Masks, where giant stucco masks decorate a pyramid with stairways on all four sides. Representing jaguars, turtles, eagles, parrots and other animals sacred to the ancient Maya, the sculptures depict individual rulers and guardians of the region. Admire the impressive stelae carved in the four sides of the stairway, where you’ll also find original red paint. Also known as an important astronomical site, Uaxactun boasts an observatory in Complex E - built to mark the summer and winter solstices until the city was abandoned in the 10th century. You’ll have plenty of time to explore the ruins, including the ball court, before lunch on site. After your meal, return back to Flores, with drop-off at your hotel or the airport in the afternoon.